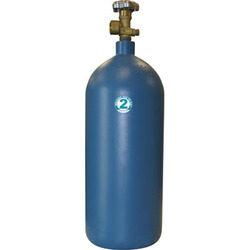 We are offering Argon Gas Cylinder to store and transport gases. Because the cylinders are packed with gases under high pressure, they can be volatile. So they must be tough enough to withstand rough handling during transportation to prevent accidents. 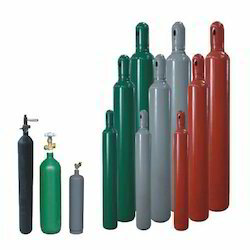 We offer Argon Co2 Mixture Cylinder in different quantity. This gas is used as welding and specialty gas in the welding industry. This cylinder is a mixture of carbon dioxide gas and argon gas. - Do not eat while handling the gas. - Have hazardous effects on special body organs. - Workers should be well equipped with the cloths while using the gas. Owing to the wide experience in this domain, we are instrumental in offering Argon Gas Cylinder to our clients. Leveraging on our enormous business competency and huge info of this field, we have brought forth a vast gamut of 10 Cubic Argon Gas Cylinder.